Logitech knows that kids and technology are intertwined. That’s why we’re committed to elevating the digital learner’s experience through exceptionally designed products. Our headsets empower students at every grade level to dive deeper into the colors, words, animation, and audio of interactive learning programs. 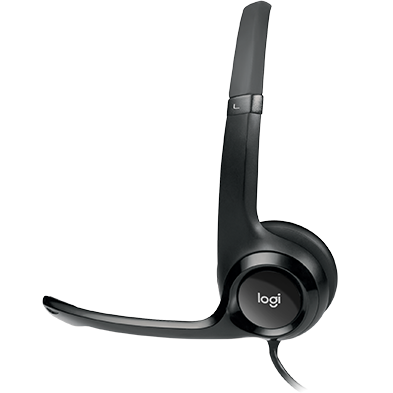 At Logitech our renowned quality and support lets educators and administrators focus on what they do best. 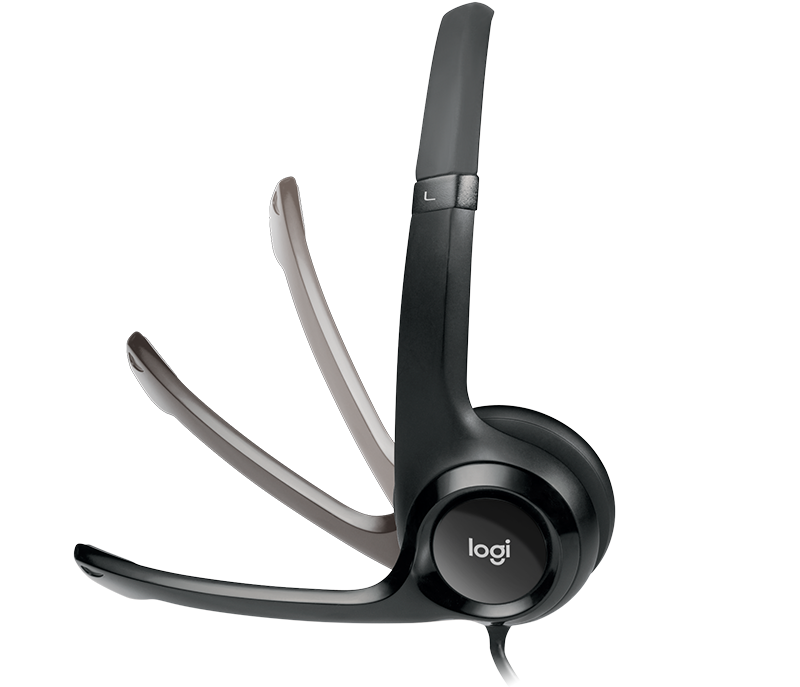 Our headsets are designed to stand up to everyday use and occasional mischief. They’re subjected to a tumble test, drop test, and plug-and-play test over and over again. 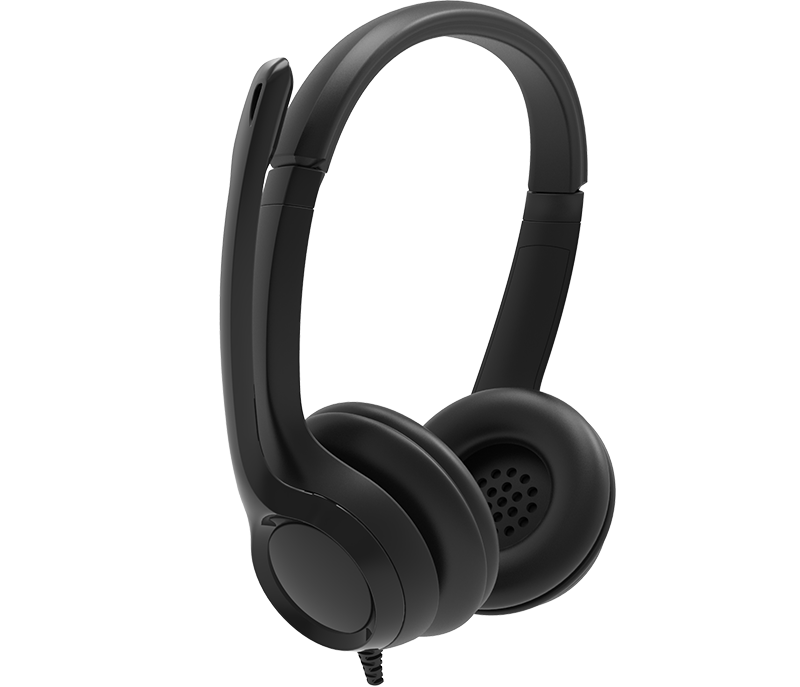 Being mindful of student's health, our headsets are made from non-toxic plastic and have a 85dB volume limit to protect delicate ears as recommended by OSHA and NIOSH. The non-PVC cable is knot-resistant and chew-resistant (our favorite test). A 2-year warranty gives you peace of mind. Students can jump right into lessons by simply plugging the USB connector into the USB port of any computer or laptop, including Chromebooks. The microphone and padded headband easily slide to adjust and fit most students. 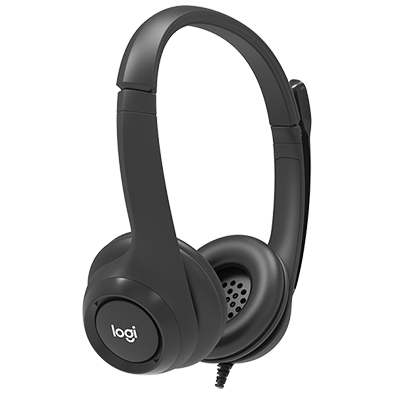 The on-ear design of this model has thicker ear pad cushioning to help block out more classroom noise so students can focus longer. 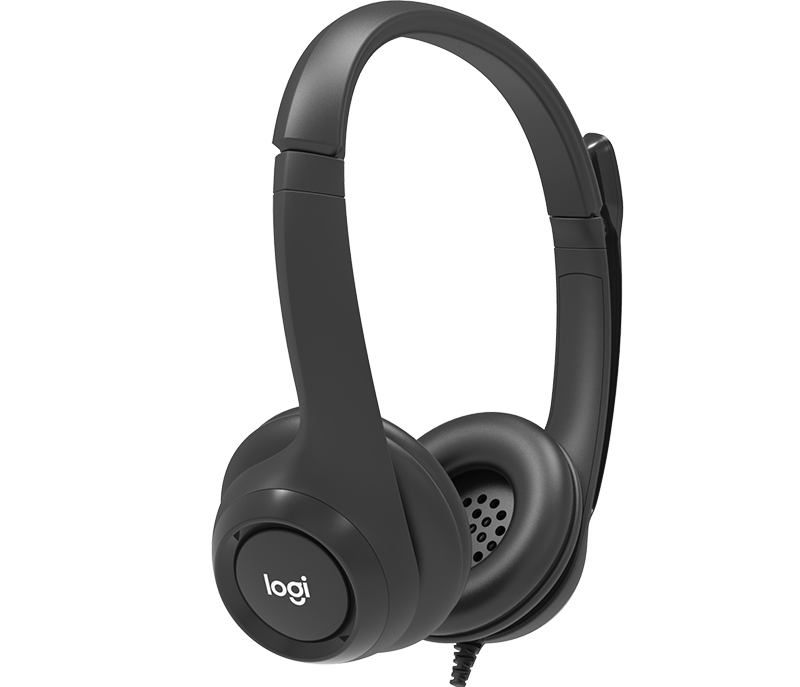 The durable plastic headset and leatherette ear pads can be quickly wiped clean and sanitized with any disinfectant or antibacterial cloth. Replaceable ear pads are available to order. 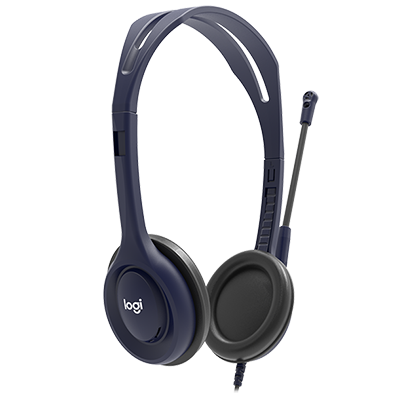 Logitech headsets make screen-based learning a positive experience for everyone. This model provides digital stereo sound and is compatible with most learning platforms and software programs. 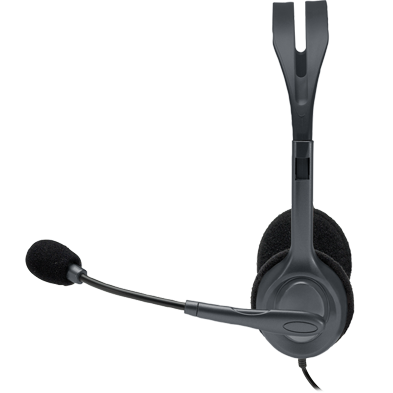 A left-side, hard plastic, unidirectional microphone can be easily positioned to capture the student’s answers clearly and minimize background noise so the audio playback is accurately heard. It can then be tucked out of the way when not in use. Leatherette ear pad covers are easy to replace. 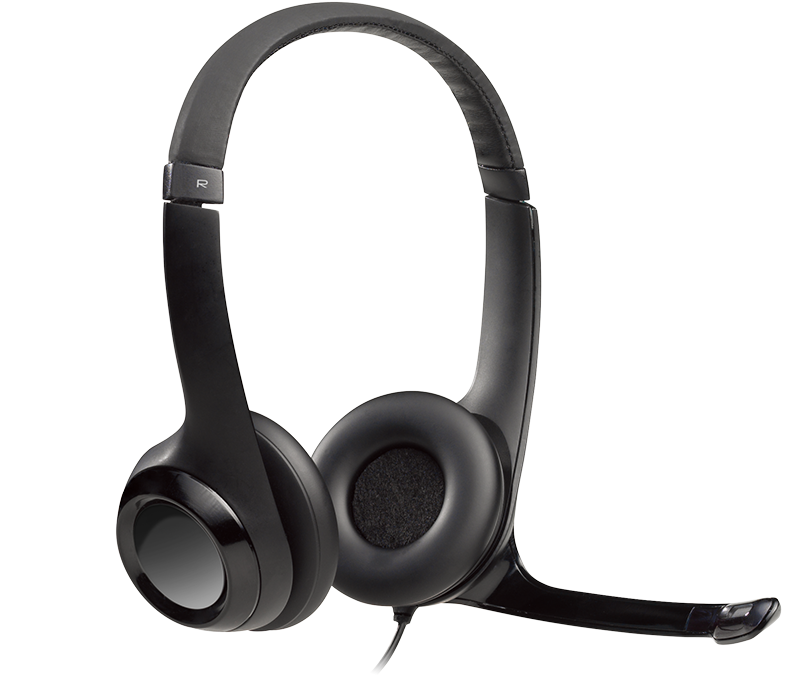 Sold in minimum quantities of 5 headsets and multiples of 5 headsets with classroom storage and carrying box. Headsets are intended for kids six and older.